Ah. 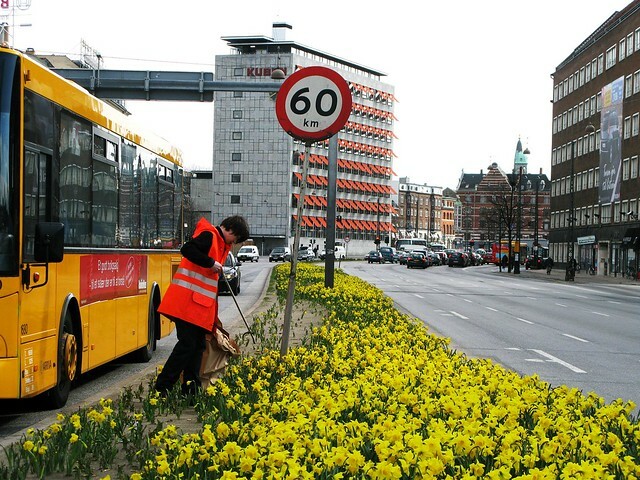 Spring flowers in Copenhagen. Note the swath of deadness where the exhaust from cars waiting to turn left have left their mark. 60,000 cars a day on this boulevard carving it's asphalt trail through the heart of the city. No politican speaks of doing anything about it.